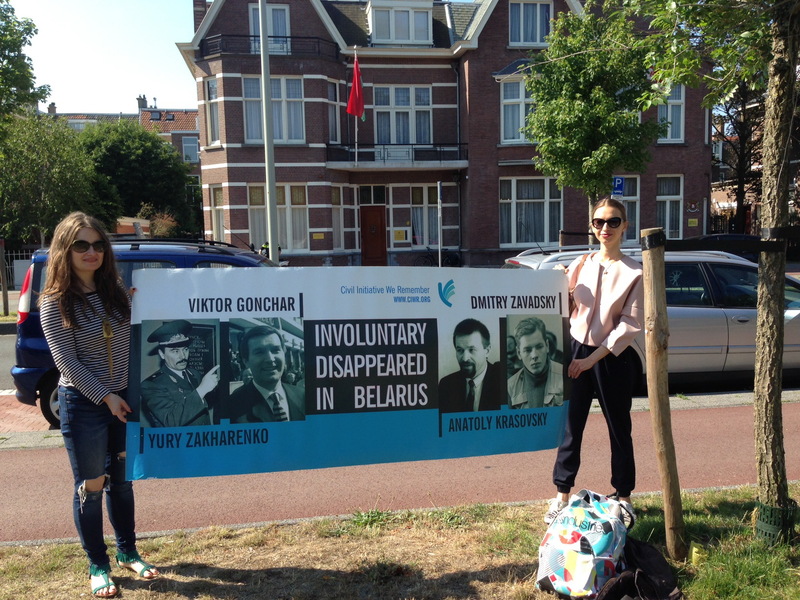 On July 16 an action of solidarity with the family members of the involuntary disappeared Belarusians took place in The Hague, Netherlands, in front of the Belarusian Embassy. The event started 10:00 A.M. local time and lasted for one hour. Participants of the event were holding a banner with the portraits of the disappeared Yuri Zakharenko, Viktor Gonchar, Anatoly Krasovsky, Dmitry Zavadsly and a caption Involuntary Disappeared in Belarus. By-passers expressed their sympathy and support. The event was initiated by We Remember.